The sermon is interesting as a piece of pastoral teaching, although it is not generally considered one the doctrinal standards for Methodism. The Scriptural reference for the sermon is also interesting. It takes Leviticus 19:17 as its text, which comes right before Leviticus 19:18, which many will identify as the source of the second part of the Great Commandment. In this post, I will attempt to recount briefly why Wesley said we should correct our neighbor when they sin, under what conditions he said we should do this, and how he said we should do it. We ask why we should take up this practice. Wesley’s sermon passes over this question quickly because to him it requires no argument to carry the day. We should correct those who sin because Scripture commands it and because it is the loving thing to do. Allowing a person to sin or to do things that lead to sin is to hate them in our hearts. With that settled, he spends the greatest part of the sermon on questions of technique. First, he warns us not to attempt to correct anyone over a matter about which there is honest dispute whether it is a sin or not. A thing may possibly appear evil to me; therefore I scruple the doing of it; and if I were to do it while that scruple remains, I should be a sinner before God. But another is not to be judged by my conscience: To his own master he standeth or falleth. Therefore I would not reprove him, but for what is clearly and undeniably evil. As examples, he cites things that he says not even people who do them will defend, or defend long when pressed. He lists drunkenness, profane cursing and swearing, and profaning the Lord’s Day. In our day, we cannot help but notice that many Christians and pastors would dismiss the last two items as harmless. But still, we can find sins that most people would agree are evil. It is to these that Wesley said we should confine our work of reproving. This first condition, of course, raises some interesting questions about the hot-button issues of sexuality that so occupy us. Does that fact that we have much dispute about them make them things of a disputable nature that Wesley says should be off the table for mutual correction? His object appears to be to call people into line in a way in which they would agree is best, so I suspect that is the case, especially when we consider another suggestion he makes. Wesley argues that we should correct even those who are like the “swine” that Jesus tells us not to throw our pearls before. Even those who reject the gospel, Wesley writes, when they do something that they know to be evil, we should correct them. Notice again that Wesley is arguing that our correction be in line with the values and norms of the one being corrected. We are calling them to a standard that they already embrace. We are not arguing them into agreeing with us, but calling them to act in line with their own beliefs. But then how are we to do this? Wesley writes that it must be done in a spirit of love, with humility, and in meekness. He warns against looking down on the one we correct or having any trace of anger in our words or demeanor. He says we should be serious, except in rare cases where jesting will do. He says we should be discerning about whether many words are needed or few or none at all. He says we should trust in God to guide our words and advises using the words of Scripture where appropriate. A large part of the sermon is taken up with this kind of coaching on technique. Then, Wesley closes the sermon, which is dated 1787, with a call to Methodists to take up the practice again. I have now only a few words to add unto you, my brethren, who are vulgarly called “Methodists.” I never heard or read of any considerable revival of religion which was not attended with a spirit of reproving. I believe it cannot be otherwise; for what is faith, unless it worketh by love? Thus it was in every part of England when the present revival of religion began about fifty years ago: All the subjects of that revival, — all the Methodists, so called, in every place, were reprovers of outward sin. And, indeed, so are all that “being justified by faith, have peace with God through Jesus Christ.” Such they are at first; and if they use that precious gift, it will never be taken away. Come, brethren, in the name of God, let us begin again! I take from this sermon that all Christians should view it as a duty to speak words of gentle correction when anyone in our life does what they know to be evil. In our age, it might be hard to identify all cases of this. We view a lot of things as harmless or even good that our ancestors found evil. Nonetheless, we are called, Wesley argues, to correct each other when we go astray. 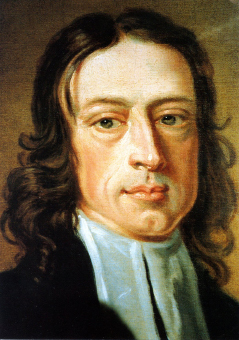 Posted on January 21, 2013 by John MeunierPosted in Christian life, Methodism, SinTagged john wesley, Methodism, Sin. Wesley does write that those closest to us have the greatest claim on us for this service, but he does widen the circle to the point of saying that every person who has a soul in need of salvation should expect this from us. Some of your examples strike me as the disputed cases of which I wrote in the post. I think Wesley addresses your other concern when he writes about the need to be meek and humble and to do all this in a spirit of love. He specifically calls out those who use the name of zeal when they really are operating out of anger. And his paragraph on humility warns against pride. Wesleys sermon 100 lays out a more detailed account. That is a good one, too. The most important part of this is in the “how.” How do you condemn sin without taking on a holier than thou attitude? How do you demonstrate love for the sinner? In communication the way we say something is as important, if not more important, than the content of our message. In our age of shock jocks and anonymous internet posting, we feel that the more outrageous we can make our condemnation of sin, the more we will be heard. The truth is that Christ calls us in the opposite direction. When we learn this, we will truly set ourselves apart from the world.